sometimes u have everything but still not happy, i still feel God has 4gotten me bc of infertility and absent of menses for years, i have always believed and trusted God for a healing but for more than ten years no answers, sometimes i question God, sometimes i cry endlessly but still silent, my faith is failing i hope he gives me a child as my christmas present. I’m praying for you for a miracle! God bless you! I need a friend. I have been cut off from the vine by the Lord. 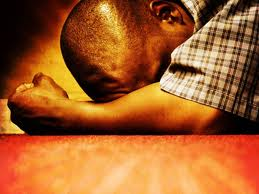 Invoking proverbs 1:20-1:32, He has decided to turn his back on me and make me pay for every sin I did not repent from. As a result I suffer from brain damage, and I am unable to think for the most part. I only think when I write and when I speak, and the quality is poor. I have lost my ability to imagine and to remember. This is the most difficult time of my life and has been for the past three years. Now I am only 36, and am looking at continuing with this pain for the rest of my life. I have lost everything because I was a careless fool. Now for the rest of my life, I will pay. The irony is that I was such a brilliant thinker. I actually have two degrees from university in the fields of mathematics and physics. But more than a brilliant thinker , I was unwise and that cost me everything. I know we serve a merciful God, but God has decided to turn his back on me because of my sin. I do not know what to do anymore. I see a minister three times a week, who is convinced that God has not turned his back on me. The truth though is that I have not felt the Holy Spirit speak to me for a very long time. I am at a loss. I love the Lord, or so I thought, and now my mistake has sent me to hell. I do not ask for much but for friendship, and the ability to discuss this very serious matter. I think I am right. I’m sorry you have been through so much. God is a loving God. If you sin…sincerely ask God to forgive you and Jesus will forgive you… period. God does not continually punish us. If when we sinned and became sick or disabled then that was a result of what we did and we have to deal with the consequences of our actions. 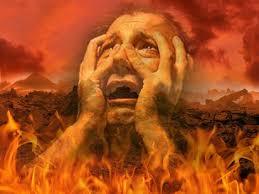 If we believe that God removed the Holy Spirit from us and makes us pay for past sins then the whole bible is a lie. You either believe the bible or you don’t. Our lives do not depend on our feelings but what is in the bible. God never makes us feel condemned and if we do…that is NOT God. The ball is in you court….read and believe. Read the bible intensely and believe and pray….that is your only help and hope. Deal with God directly praying and reading your bible. Humble yourself before the Lord. God bless you and keep you. You posted this comment in July. I am wondering have things changed? The battle is for our minds…. We are told to renew our minds. We do that by His word. Don’t feel alone in feeling like you’ve been in the dessert. Even seasoned Christians have dry seasons..
God be glorified. God bless you!